The Montana law firm of DONEY CROWLEY P.C. is a practice that is very much 21st Century while being located in the historic Diamond Block Building built in 1889--at the height of Helena's mining days. The firm is involved in cutting-edge legal issues in the areas of environmental law, energy law, natural resource law, and government relations. Whether the client is a large, multi-national corporation, or a small farmer, the law firm provides effective legal services at a reasonable cost. The Helena-based law firm was established as Doney & Thorsen in 1987. Frank Crowley became a partner in 1990 and took pride in working with the firm's founder, Ted J. Doney, until Ted's untimely death from leukemia in November 1994. In 1995, John Bloomquist was added as a shareholder, and in 2000, Allan Payne joined the firm as an associate, becoming a shareholder in 2001. Since its inception, the firm has focused on the areas of water law, natural resources and environmental law, real estate, governmental relations, administrative law, and litigation. 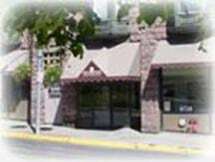 The firm's branch office in Dillon, Montana, provides legal services in these same practice areas and serves the southern portion of Montana. The firm has been recognized by Chambers and Partners, earning a top ranking (Firm Band 1) in Natural Resources & Environment. Doney | Crowley | Payne | Bloomquist P.C.